It’s been 1,243 miles since I last wrote a blog post. That’s 47% of the trail that I’ve been silent on. I’m sorry about that. Guess I’m not very good at blogging while spending five months in the wilderness. I’m full of mixed emotions today because yesterday we made it to CANADA!! This is a soft landing though, since I still have 400 PCT miles to go. The section in the High Sierras (Central California) from Kearsarge Pass to Donner Pass wasn’t safe or fun to hike when we were down there in mid June (due to epic snow coverage and very high and fast river crossings), so we drove around that section at that time. Now that I’ve hiked a continuous footpath from Mexico to Canada except for that section I’m headed back to make up the miles I missed. That’s 2,243 miles done and 407 to go. I’ll be hiking southbound for those last miles, beginning at Sierra City, CA and ending in Late September on top of Mount Whitney, the highest peak in the continental US. Although it will be strange not to end my thru-hike at the Northern Trail Terminus in British Columbia (we arrived here yesterday) I think Whitney will provide a pretty epic finish. So, so many things have happened in the last 1,200 miles that it’s hard to know where to begin, continue, or end, as far as trail updates. Needless to say there have been many ups and many downs, both emotionally and physically. 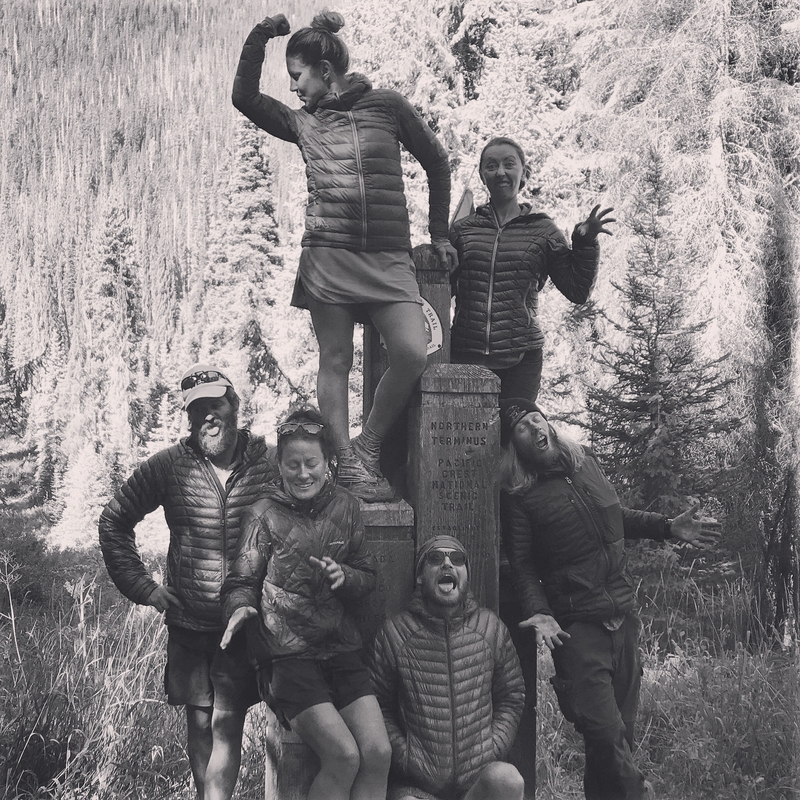 These past 130 days on trail have been the most beautiful, enjoyable, impactful, and difficult days of my life. 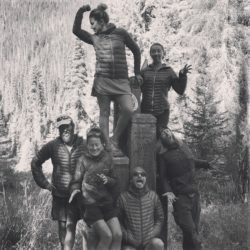 There have been cliffs, snow-capped mountains, wildflowers, sun, fog, rain, mosquitoes, black flies, eagles, marmots, lakes, waterfalls, creeks, giant meals in town, sweat and grime and dirt, hunger, bounty, thirst, water, heat, cold, sleep deprivation, friends, finding of new friends, loss of old friends, meeting of strangers, anger, laughter, giggles, sorrow, tears of sadness, and tears of joy. For a sense of what the trail has looked like for me you can check out my Instagram feed and Facebook page, which are both linked above. If you want to hear more about what I’ve been up to on a day-to-day basis I’d love to talk on the phone or send you a postcard. Call me or send me your address! Thanks for reading and I’ll see you on the flipside!